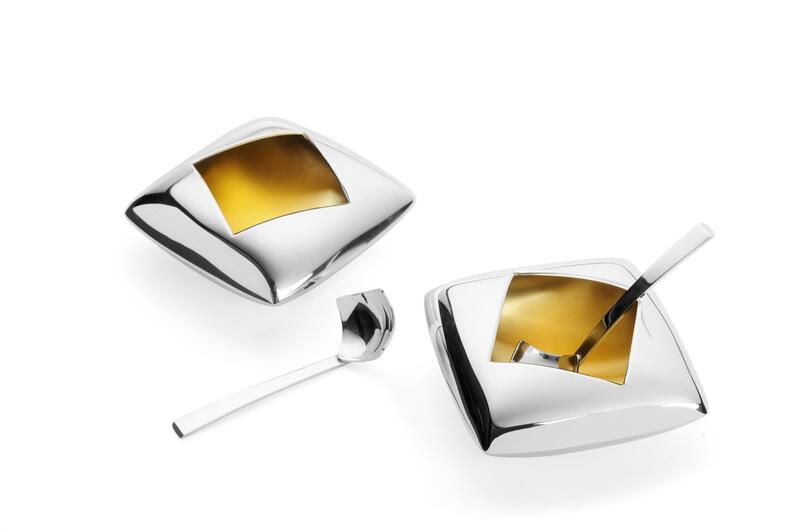 Silversmith Charlotte Tollyfield is based in Sheffield in a vibrant community of contemporary and traditional artisans, in the heart of the city’s cultural quarter. She graduated from Buckinghamshire Chilterns University College in 2007 to take up a one year residency at the Bishopsland workshop, near Reading. Charlotte then returned to her home town of Sheffield to take a place on Yorkshire Artspace’s Starter Studio Programme for Designer Silversmiths. Charlotte is passionate about silver. She believes the excitement of starting a new project, the challenges that you encounter during the making process and the delight of holding and looking at the finished object delivers a job satisfaction like no other. During her year at the Bishopsland workshop, she began to focus on the process of forming, destroying and re-creating three-dimensional vessels. 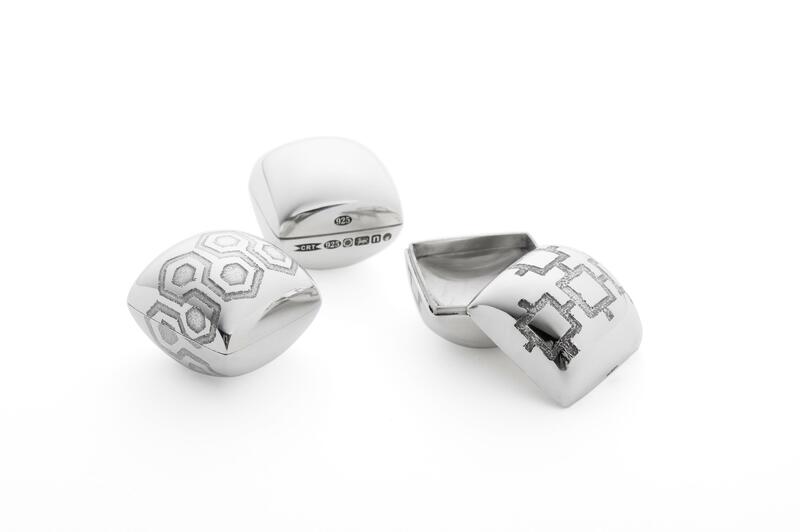 This particular process allowed her to discover a new twist to recognisable geometric structures and create a distinctive style that conveys the strength and beauty of these apparently simple forms, enhanced by silver’s ability to create soft curves and acute angles. 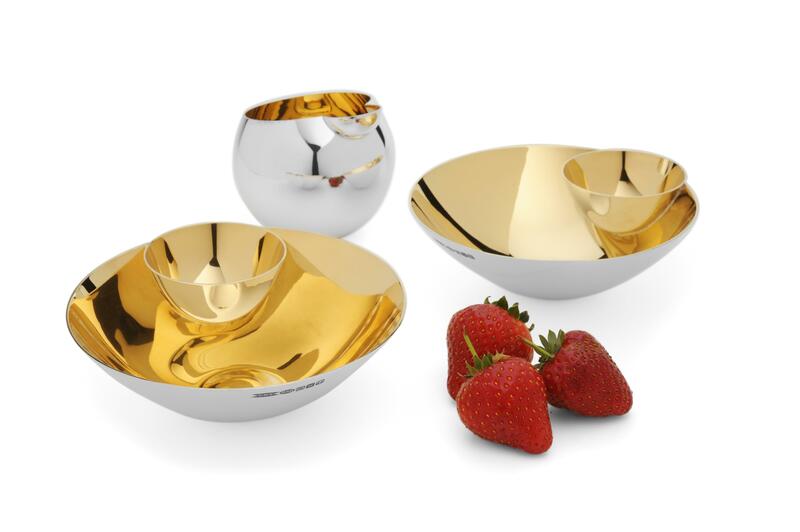 Her current work is designed for the interactive environment of the dining table where the silver is not just on display but also something to be actively used. The work has both a visual and tactile appeal, causing the viewer to look with their hands as well as their eyes.